BUYING OR SELLING A HOME IS typically one of the largest investments most people make. and, you most likely have questions you need ANSWERED. That's why we're here. We are life-long Tampa Bay residents with over a dozen years of local real estate experience. We love sharing our knowledge of Tampa Bay and giving others the help they need to make informed, confident real estate decisions. We are laser focused on the real estate market and the many things that make buying and selling a home an enjoyable and rewarding experience. Our knowledge of the 55+ communities for Active Adults and Seniors is of great help to those moving to the Tampa Bay area. We have a specialized knowledge of both sides of Tampa Bay, I was raised in Pinellas County & Linda is a 5th generation Floridian. 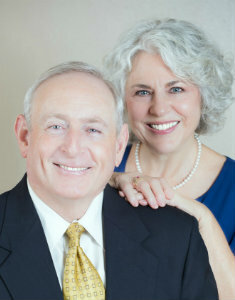 After marrying and completing UWF, we moved to Hillsborough County where we have lived for the past 43 years. We bring a wealth of knowledge and expertise of not just about the area, but the specifics of the home buying process to help you. We have a team of professionals we work with, from Lenders, Home Inspectors to Title Companies to help make the process as simple and smooth as possible. Real Estate is not the same everywhere. We have localized knowledge with up-to-date information that will serve you well in making the right choice in a home. Whether it is new construction or a re-sale home, you need representation by a knowledgeable professional who will look out for your best interest. When it is time to sell, you need an experienced professional who goes well beyond what the average agent will or can do. We use a proven, repeatable system backed by market research that can get you up to as much as 18% more money for your home than the average real estate methods do. When you use us to help you get your home sold you get a free 1 hour Home Review and Staging Analysis with a certified home stager that will help you get your property ready to be shown and set up for maximum appeal so it will stand out from the competition. We use professional photography and videography that will highlight your home to its best advantage. We do a pin-point market analysis to price your home correctly from the start. Our home marketing system and use of technology is second to none. We work constantly to improve our systems and processes. We stay up to date on the real estate market and technology needed to best serve our clients. And, as a result, we go well beyond the standard level of service provided by most Realtors. Once your home goes under contract we make sure that all the i’s are dotted and the t’s are crossed so you get all the money you are entitled to. We stay on top of the whole transaction and closing process to make sure that all moves along smoothly and timely. With us you get the help you need to navigate the selling and closing process smoothly and successfully and are kept up to date all along the way. Be a real estate resource for our clients and business associates. Maintain the highest degree of integrity when dealing with our clients and others. Listen to the concerns of our clients. Get the highest price possible for a real estate property. Help every family feel confident when buying and selling a home. Enjoy each day and be thankful for our wonderful clients, family & friends. The Smeaton Team serves clients & sells real estate throughout Tampa Bay. Hillsborough County - Apollo Beach, Brandon, Lithia, Riverview, Tampa, Wimauma. Pinellas County - St. Petersburg, St Pete Beach, Clearwater Beach, Dunedin. Thank you for your patience, compassion and honesty during our search for a house. Some people are just a blessing to meet as you walk down the road of life. You are one of those people! Thanks for all you both do and for all of your help. Jim and Linda were incredibly helpful throughout the entire sales process. As a military family attempting to sell their property from out-of-state, it was particularly important to have local representation that was willing to go beyond the usual realtor expectations. They also provided very timely and relevant communications so that we felt comfortable with the showings and status of the property. We highly recommend Jim and Linda. Choosing to sell your home is an emotional time and you need to have confidence and trust in the person you choose to do that for you. We chose to work with you because you have a very calm and professional outlook. You were very thorough in your research but also willing to listen to our thoughts and concerns. The information you gave us to help us sell our house was extremely useful. We also appreciated the time you spent at the house and your help with de-personalizing and looking at the house objectively. Probably the single most useful piece of advice on staging was suggesting that I go and look at model homes and take note of what was NOT there. It gives you a whole new perspective. We appreciated your promptness with everything that needed to be done and your communication made the process smooth and as stress free as possible. It was a pleasure working with you to sell our house and also your help to purchase our new home and I would encourage anyone needing to sell their house to put their trust in you.